When you buy from Progressive Rags you are helping to build the fight against racism in America. Check out our web page, we are a 100% progressive political company. Every shirt that we make, every button we press and every advertisement that we we run helps to build the movement for social justice. We are an activist company and we donate our time and resources to the movement. In the past week have donated 200 shirts to the Dream Defenders, who are occupying the Florida Capitol and met with Governor Rick Scott to demand the repeal of Florida's Stand Your Ground Law. We produced another 80 shirts at below cost for Power U, a Miami youth group that has traveled to the Florida Capitol to join the Dream Defenders action. These shirts are being worn in demonstrations daily and have appeared on TV broadcasts and on the front pages of news papers around the nation. 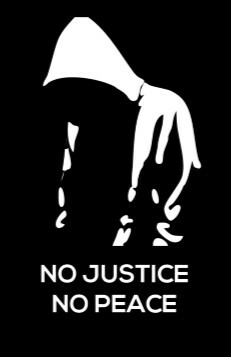 We are offering a selection of shirts, buttons, bumper stickers and posters that will enable you to let your views about the Zimmerman verdict and the need for justice for Trayvan Martin and Marissa Alexander be known. Your purchase will enable us to continue to contribute to this important movement, so please order today and pass this on to your friends. At Progressive Rags we don't profit from the movement, we build it! P.S. 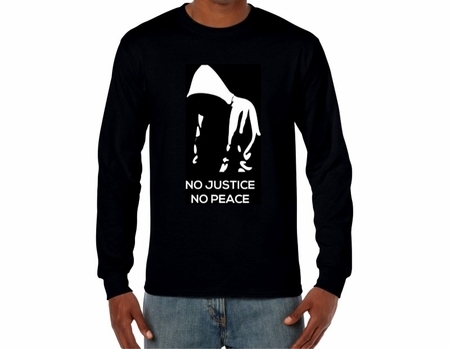 Revenues generated from the sales of our merchandise do not go to the Dream Defenders or any other organization. We use them to make shirts, buttons and other items that are distributed for free to activists in the movement.